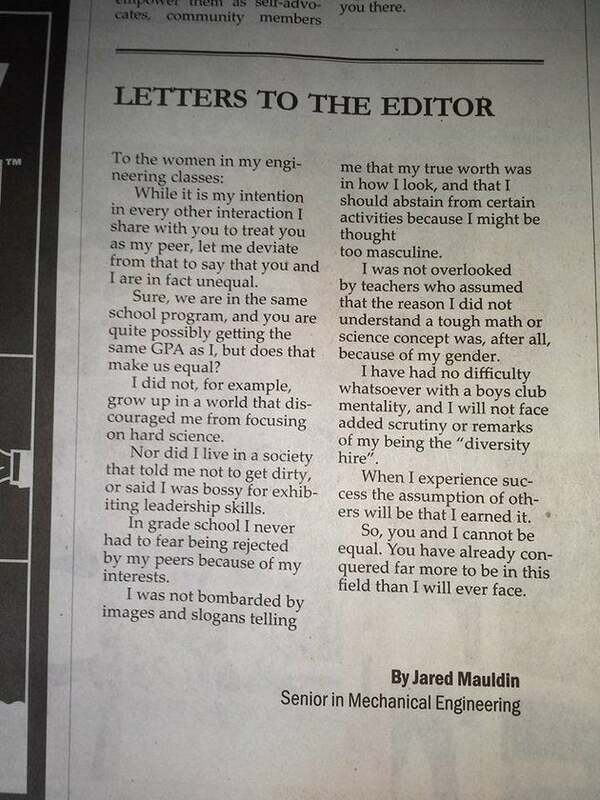 In a recently penned letter to the editor of his school’s student newspaper, The Easterner, Eastern Washington University senior Jared Mauldin addressed a letter to “the women in [his] engineering classes” and pointed out why they were unequal when compared to him. But before you jump at Mauldin’s throat for another example of male dominance in the engineering field, the mechanical engineering student actually wrote a very sincere letter that pointed out the significant issues that plague engineering and other STEM fields. Mauldin – who, according to The Huffington Post, regularly teaches tech classes to students from fourth to eighth grade – noticed that there were wide differences in the way that his female peers were treated by other male, engineering students. Often, they were criticized more harshly or weren’t acknowledged at all – simply another figure in the room serving little to no purpose. The letter was a response to this rampant sexism in engineering as well as other STEM fields. The idea that sexism exists in STEM is, of course, not a new issue. 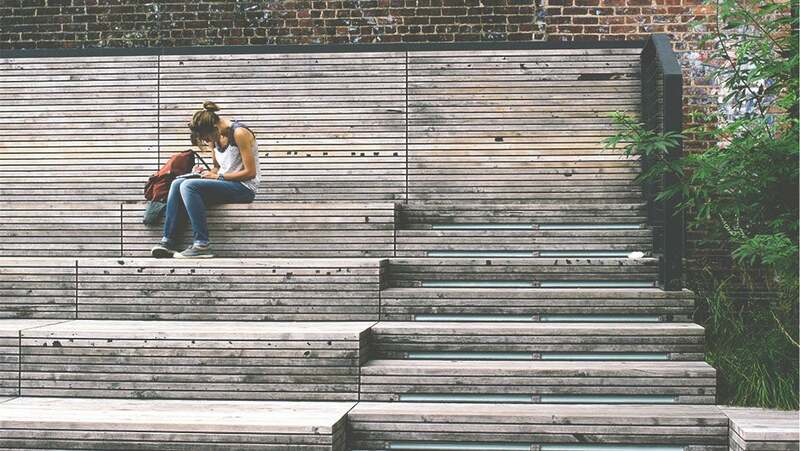 In the most recent figures, a mere 15 percent of women are in STEM careers compared to 31 percent of men. In the tech industry specifically, the percentage of women has gone down from 37 percent in 1991 to 26 percent in 2014. Mauldin’s letter has, obviously, gotten many likes on Facebook and shares on Twitter, especially considering that such vocal activism is coming from a man – a recognition of male privilege that rarely seems to be openly acknowledged by many male leaders in the tech industry.